July 10, 2018 | LITTLE ROCK — Researchers with the Myeloma Institute at the University of Arkansas for Medical Sciences (UAMS) have connected clinical outcomes for patients with types of so-called focal lesions, which are solid, elevated areas of plasma cell accumulations within the bone present in most myeloma patients. The focal lesions are important contributors to the progression of the disease and are found through radiology imaging techniques. Last year, the institute’s researchers discovered cancer cells can vary depending on their location, with the most aggressive tumors frequently only found in focal lesions. For the most recent study, which included 404 transplant-eligible newly diagnosed myeloma patients, the researchers used diffusion-weighted magnetic resonance imaging (MRI) with background suppression to identify the presence of multiple large focal lesions as a strong predictive factor. 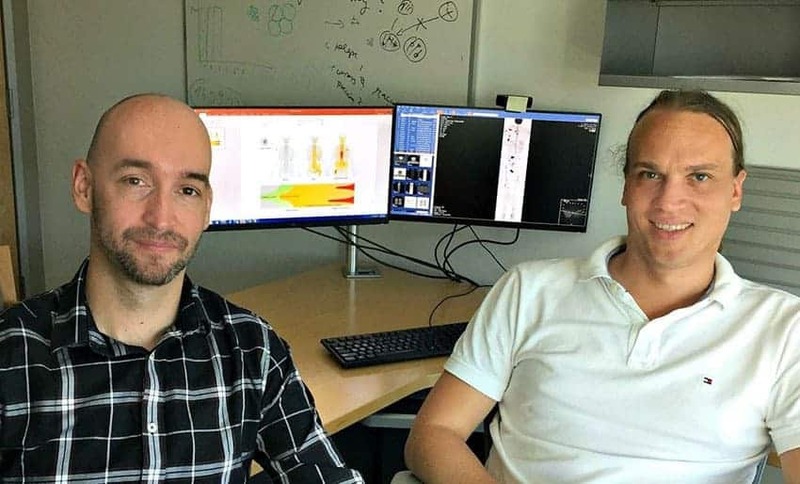 “Using this novel MRI technique, we have identified for the first time a pattern characterized by multiple large focal lesions, which is strongly associated with poor outcome,” said Rasche. “The pattern is independent from other established risk factors, and can be used as the entry criteria for risk-stratified clinical trials,” he said of determining which patients have high-risk disease, which is more challenging to treat. They found that newly diagnosed patients with at least three focal lesions with perpendicular diameters of at least five centimeters or larger were associated with poor rates of progression-free survival and overall survival (median 2.3 to 3.6 years, respectively). This pattern, seen in almost 14 percent of patients, was independent of the Revised International Staging System for myeloma, gene expression profiling based (GEP70) risk score, or extramedullary disease, which occurs when tumors form outside the bone marrow in the soft tissues or organs. The number of focal lesions lost its negative impact on outcome after adjusting for focal lesion size, but the presence of at least three larger focal lesions was found to be a feature of high risk, and can be used to determine whether a patient qualifies for alternative therapy. “Currently either x-ray or PET-CT scan is used to assess disease for myeloma patients. Based on the results we present in this paper, we are firmly convinced that diffusion-weighted magnetic resonance imaging with background suppression will become the new standard in the diagnostic work-up of multiple myeloma,” said Weinhold.